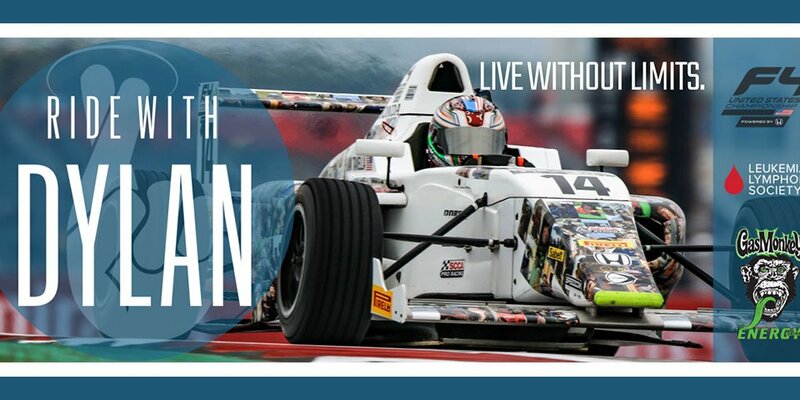 January 15, 2019 – Traveling across the country from his home in New York to the famed Sonoma Raceway in Sonoma, California, Dylan Tavella competed in the opening rounds of the Formula Pro USA Championship. 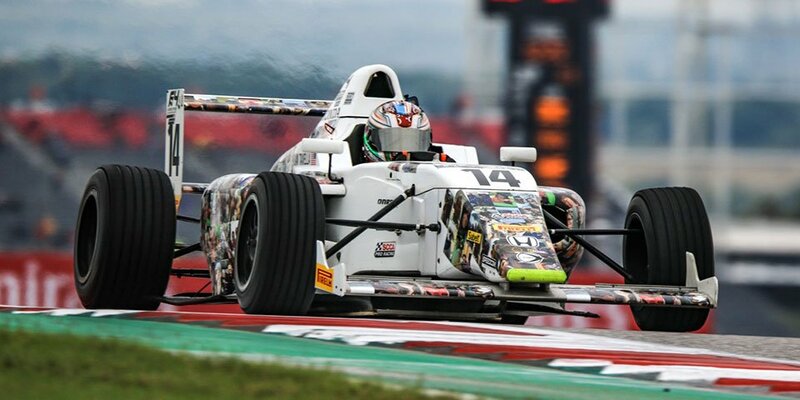 Piloting a Gas Monkey Energy sponsored Alliance Racing machine and continuing to promote his Ride With Dylan initiative, Tavella secured a pair of podium results including a victory in race two, his first behind the wheel of an F4 machine. 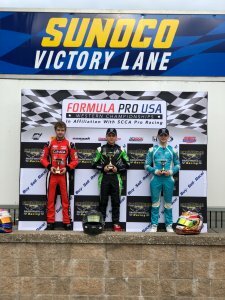 Utilizing his abilities to pick up new tracks quickly, Tavella was one of the faster drivers on track and secured the second place starting position for race one. Happy with the result but not pleased with the handling of his car, Tavella and his engineer went to work to perfect the setup that would eventually provide the young driver with a car needed to stand on the podium. Taking the green flag for race one later that day and jumping to the lead early, Tavella was in position to score the win before a quick mid race spin sent him down the running order. Taking away the chance at a victory, the Alliance Racing driver pushed hard for the last half of the event and salvaged a second place podium result. Learning from his mistake and determined to make up for it in race two, Tavella once again qualified in the second position and started race two from outside of the front row. Jumping to the lead on lap three and never relinquishing it, the New Yorker held off pressure and advances of his fellow competitor to take the win as rain fell throughout the event. 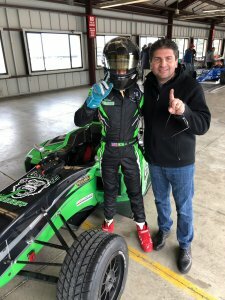 This was the first of win of Dylan Tavella’s F4 and car racing career. Dylan Tavella would like to thank his current marketing partners and team for their continued support. A huge thanks to Alliance Racing, Gas Monkey Energy, Bell Helmets and K1 Racegear. 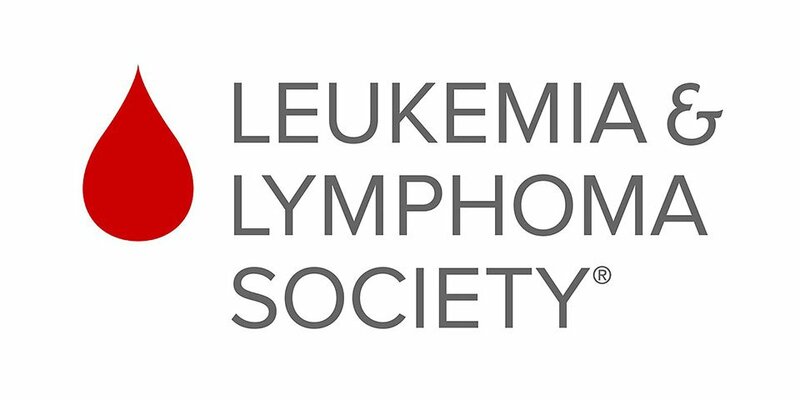 Additionally, Tavella sends an extra special thank you to all the donors that have participated in the Ride With Dylan program as he looks forward to continuing this in 2019 with all proceeds going to the Leukemia and Lymphoma Society. For more information on Ride With Dylan, please visit www.RideWithDylan.com or any of the social media pages on Facebook, Twitter, Instagram, and LinkedIn or visit the links below.